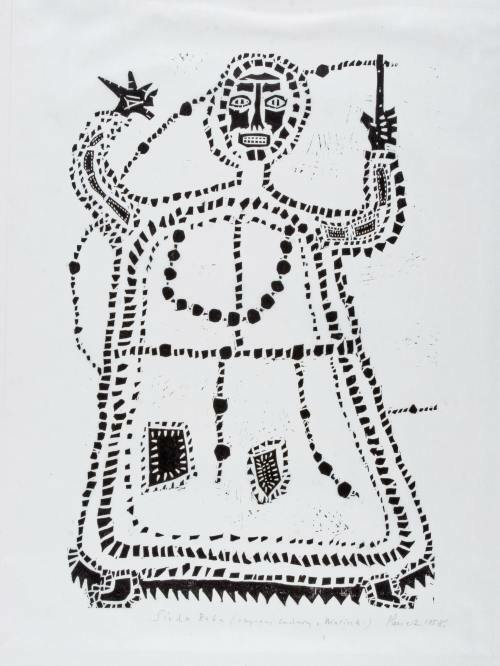 ‘Siuda Baba’, drawing by Jerzy Panek, 1958. Siuda Baba, a person appearing on the Easter Monday in only a few villages in southern Poland, is a great example of how bits of the informations about the old religions and customs were carried on by rural communities over the long centuries and how they survived in a form of local folklore traditions. This custom can be still observed in the town of Wieliczka and a few neighbouring villages, notably in the village of Lednica Górna where it most likely originated from and where it’s still recreated every year on the Easter Monday – the day of Śmigus Dyngus or Lany Poniedziałek (Wet Monday). It’s connected to the old pre-Christian Slavic religion and the Slavic spring rites. This entry was posted on April 18, 2017 at 2:27 pm and is filed under Uncategorized. You can follow any responses to this entry through the RSS 2.0 feed. You can leave a response, or trackback from your own site.